Your order has been placed. You will receive a confirmation email shortly. 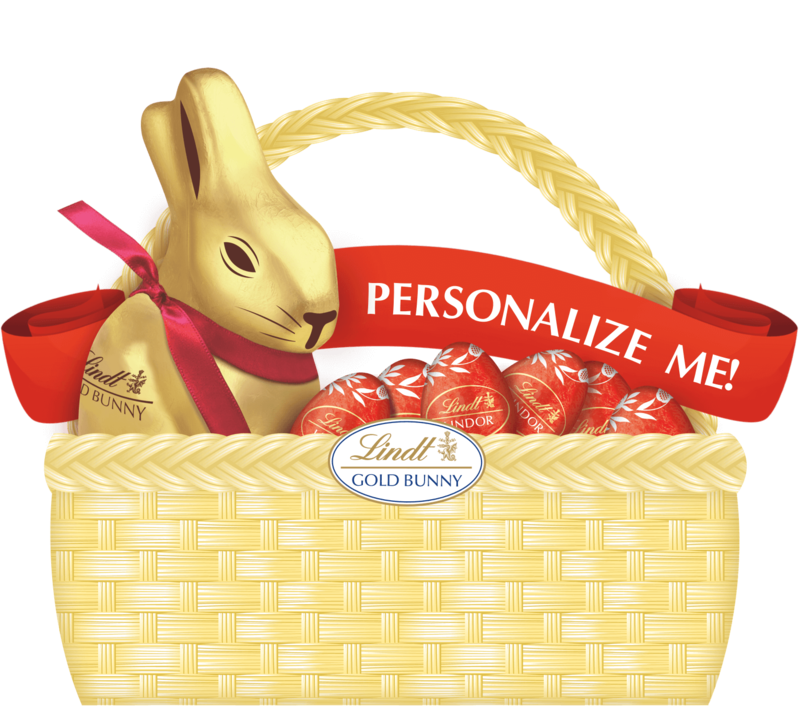 Share your personalized Lindt GOLD BUNNY Ribbon on social media using #MYGOLDBUNNY and #LINDTGOLDBUNNY. Thank you for visiting MYGOLDBUNNY.com! While we can no longer accept personalized ribbon orders, we would love to stay connected with you. Share your email below for delicious deals and more from Lindt, and be the first to know when we go LIVE next year. Happy Easter! I acknowledge wanting to be contacted by Lindt for the 2019-2020 Lindt GOLD BUNNY ribbon campaign. Thank you; we will keep you posted! Your participation in this promotion is voluntary. Lindt reserves the right, at any time, to cancel, modify or suspend this promotion if, in its sole judgment, the promotion is not capable of being conducted as specified. The submission deadline to receive your custom ribbon by Easter has passed. Submissions are still accepted, but we are unable to guarantee arrival in time for the Easter holiday. For recipients in the Continential US, enter your mailing address as usual. For APO and FPO addresses: Enter APO or FPO in the City field. Enter AA, AE, or AP in the State field. Enter the proper zip code for your location. For ribbon names, there is a 16 character length limit and special characters are not permitted. Are you sure you would like to submit with an unrecognized mailing address? This may lead to a failed delivery attempt.